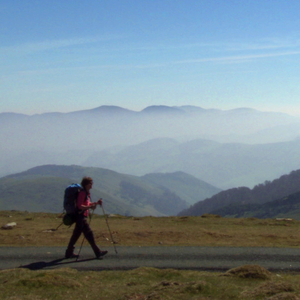 This week at Hopewell Theater, walk 500+ miles of the Camino de Santiago, a spiritual long walk in Spain, on Tuesday night at 7 pm when WALKING THE CAMINO: SIX WAYS TO SANTIAGO screens as part of our ongoing series, The Art of Living Well. Thursday, we bring back the Oscar nominated MIRAI for a Crybaby Screening at 11 am. Thursday night at 8 pm, join Suzin Green again for TRAVEL SONIC PATHWAYS, a special experiential concert. Friday night, another installment of our ongoing storytelling series, This Really Happened…Hosted by Joey Novick, the cast for February 8th’s show includesHarmon Leon, James Braly, Arti Gollapudi, Martin Dockery, and David Hu, followed by the open mic segment of “two-minute tales.” Then on Saturday, we open an annual favorite, the 2019 Oscar Nominated Short Films in Live Action, Documentary and Animation. So many other selectively eclectic programs coming up! More info on all of the above here.